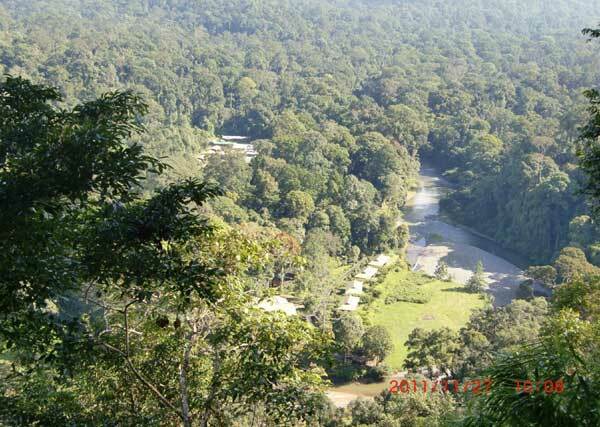 We stayed in the Borneo Rainforest Lodge located in the Danum Valley Conservation Area, Sabah, Malaysia, from 23 to 28 November in order to observe wild Bornean Orang-utans (Pongo pygmaeus), other animals, and plants. We observed orang-utans every day during this stay. Some orang-utans acted with their family, and others acted separately. We observed the nest building and Abu(adult male)'s walking on the ground. 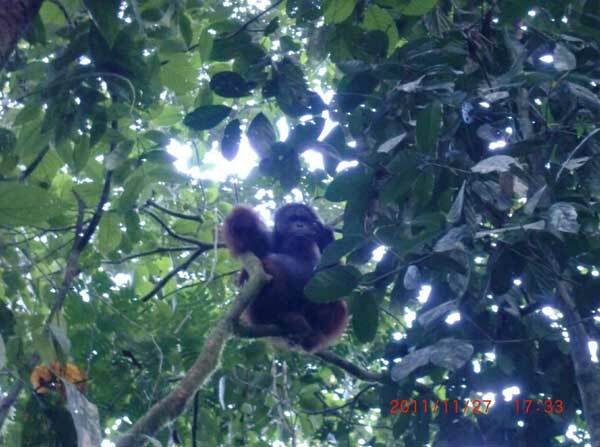 We observed various animals and plants almost all day, and understood the surroundings in which orang-utans lived. The rainforest, we observed the orangutans. And Borneo Rainforest Lodge We stayed in.